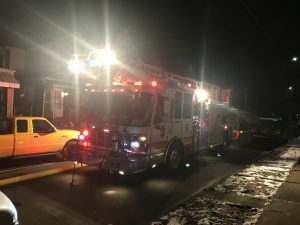 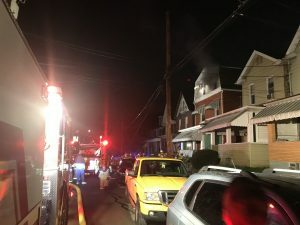 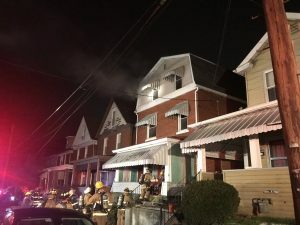 While personnel were participating in scene size up and incident command exercises during our Thursday night drill, Quint 1 (Allegheny County Truck 192) was alerted as the first alarm truck company for a reported house on fire on 6th Street in Pitcairn. 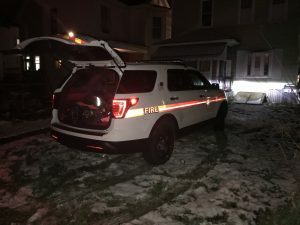 The Quint and the Chief responded immediately with 8 personnel and arrived shortly after Pitcairn’s engine companies. 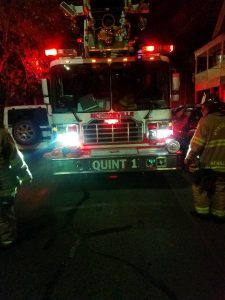 The Quint deployed ground ladders, provided support to Pitcairn units, and operated on scene for two hours.